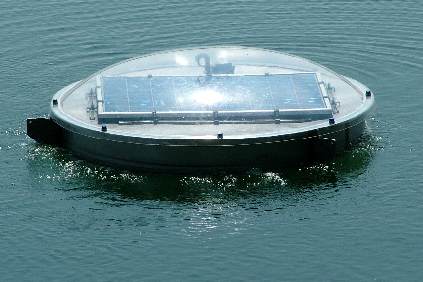 The oxysun looks like a flying saucer, but it is in reality a small solar power station. 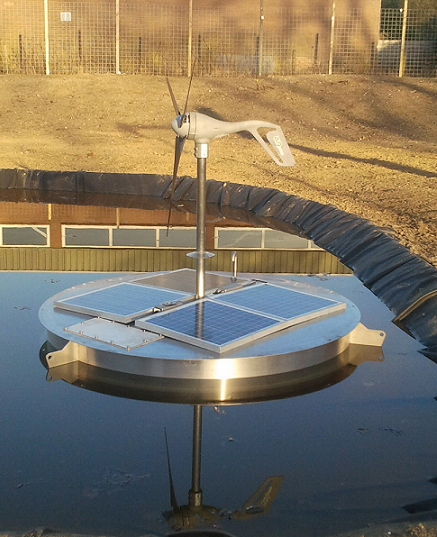 The dish-shaped device with a diameter of about two meters is intended to add oxygen to the water with the aid of solar energy. By adding oxygen fish mortality and excessive algae growth (including toxic blue-green algae) are avoided in the hot summer months. 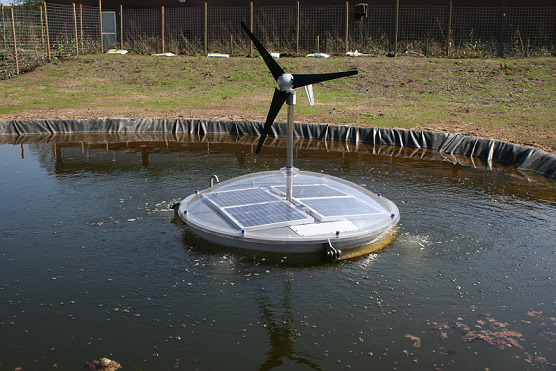 The oxysun, as the saucer is called, responds to a recurring and growing problem for water managers. More often the warm summers cause a shortage of oxygen in ponds and lakes with low water depth. Also in waters where there is hardly any traffic flow or change. Here excessive growth of algae (toxic algae) and massive fish kills can result. The oxysun filters the ambient air and brings it into the water. On top a solar cell is mounted which makes the device fully self-sufficient. The oxysun not only adds oxygen in the water, but it also brings extra move to the water. The oxysun is anchored to the ground and covers by rotating due to the upward flowing air stream a water surface of about 5000m². The oxysun is made of stainless steel and is covered entirely by an impact-resistant polycarbonate dome, this makes the housing very strong and durable. The used solar cell has a life span of 20 years.